For the health of hair. 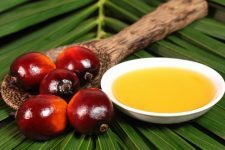 How does natural palm oil work? Balanced diet and drinking right amount of water during the day is the best recipe for beautiful hair. On the condition of our organism depends what condition will hair have. However, you should never give up the support from the outside. 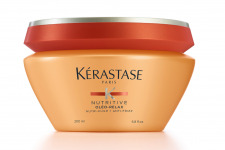 Strong ally of hair is, among many, palm oil. How does it work and how can it help? Hair require protection and support, not only on the inside, but also out. This is why hair oiling has such an ongoing popularity. This is the only natural, safe and quick way for the nourishment, moisture and strengthening of the hair. Palm oil is best on low porosity hair, for which protection is the most important. Palm oil is extracted from the fruits of African oil palm. It should in fact be called butter due to its texture. Consistency and carrot-like colour make it impossible to mistaken this oil for any other product. Intense orange colour is caused by high content of beta-carotene. Sadly, because of this colour palm oil is no good for all hair. Blondes must be careful, so that the oil wouldn't change their hair colour into orange or yellow. 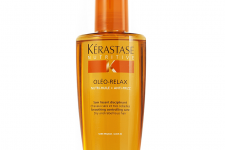 Porosity of the hair (the level of hair cuticles raise) is a key to effective care with oils. By controlling the amount of fatty acids in oils, you can in easier way choose right for the hair structure. Palm oil is a perfect solution for low porosity hair, which hair cuticles closely adhere to the hair shaft. This hair type is the healthiest, but requires very intense protection. Palm oil is great for the care of low porosity hair due to content of 44% of palmitic oil. 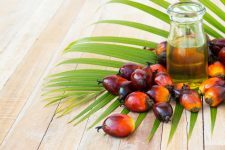 What can you expect after natural palm oil? It can seem that the butter has nothing to offer. And yet, it is the contrary. Palm oil, most of all, prevents ageing processes in the cells of the entire organism. Therefore, hair are stronger and healthier for longer. Palm oil is particularly great for oily hair, because it regulates level of sebum secretion. Besides, it protects hair and skin against harmful UV radiation. On top of it, palm oil contains also standard properties such as moisture, smoother and nourishment. It perfectly makes hair elastic and takes care of hair with low porosity hair.